This series of books will help beginning & advanced traders and investors, improve their trading & investing skills , by raising their probability of success, helping them take control of their own money. Book one, is a more basic book, we touch on the fundamentals of options trading, and the main trading strategies with the mechanics and rules used by Tom & Tony. 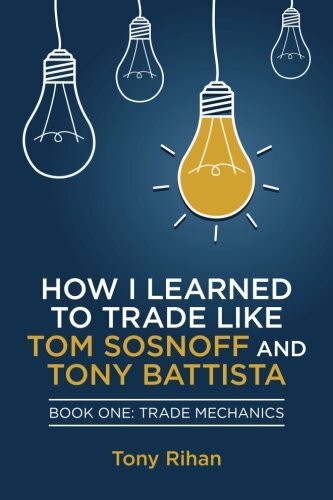 I had the privilege of learning from the best traders in the whole world ; Tom Sosnoff and Tony Battista, and I want to pass on what I have learned from them, and also present a clear a precise step by step path that anyone can follow in order to be successful in the world of investing. If you have any questions about this product by Antonio Rihan, contact us by completing and submitting the form below. If you are looking for a specif part number, please include it with your message.